On February 22 at 5pm, join Marc as he gives a lecture at the presentation of the Jeff Harnar Award for Contemporary Architecture in New Mexico at the University of New Mexico School of Architecture + Planning, located at 2401 Central Avenue, NE. The award, for which Marc will also serve as Jury Chair, is given to the best contemporary building built in New Mexico in the last five years. The Jeff Harnar Award for Unbuilt Architecture and the Jeff Harnar Award for Unbuilt Landscape Architecture will also be presented. Join David J. Lewis and the other panelists of Affordable Housing and Beyond: Addressing the Needs of All Populations on Wednesday, January 23, 2019 from 6:00-7:30pm at 63 Fifth Avenue, Room UL105 for a discussion on how architecture and design are being transformed and informed by new material health practices. Hosted by the Parsons Healthy Materials Lab and Health Product Declaration Collaborative (HPDC), this talk will be fourth and final discussion in the series Transparency and Material Health in Practice. 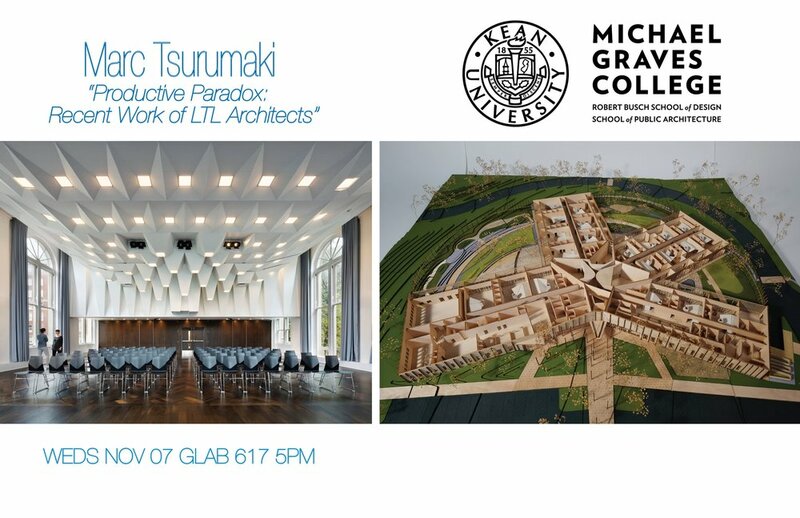 This Wednesday, Marc Tsurumaki will present a lecture on the recent work of LTL Architects at the Michael Graves College at Kean University at 5:00pm in GLAB 617. David is participating in the Roundtable: A Candid Dialogue on Pamphlet Architecture 36: Buoyant Clarity today, July 30th, at 6pm at the Center for Architecture. Paul will speak at the AIA Conference on Architecture next Monday, July 23rd at 1:30 pm. Marc will give a talk on July 17th at the Perspective USA 2018, an international architectural forum sponsored by THE PLAN Magazine, held at the Marriott Downtown, NYC. David J. Lewis will be giving a gallery talk and lecture at the Fay Jones School of Architecture at the University of Arkansas on Monday, April 9th. The opening reception of the Manual of Section Exhibition will be held following the lecture. 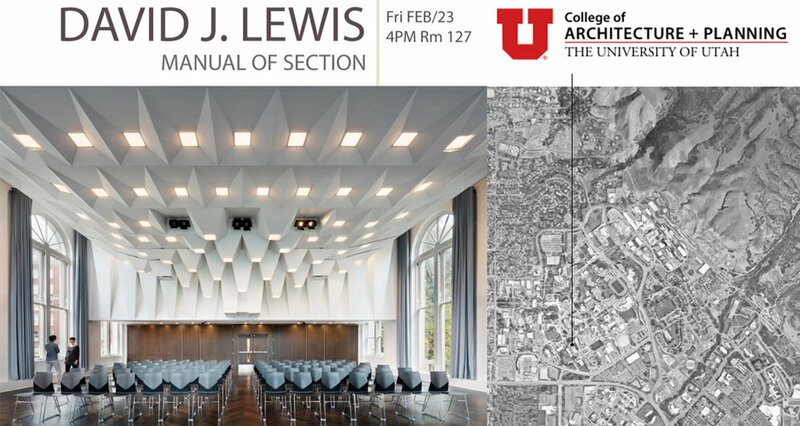 David will give a lecture at the School of Architecture at the University of Utah this Friday, February 23rd, at 4PM. The Manual of Section Exhibition is now in Limerick, Ireland! The exhibition opening will be at 7:30PM on February 5th, at the Fab Lab Limerick. David Lewis will be giving a lecture in conjunction to the event. Paul will give a talk on Manual of Section at the Aspen Art Museum in Aspen, Colorado on November 30th, at 5PM. David will give a lecture at the University of Wisconsin-Milwaukee School of Architecture and Urban Planning this Friday, at 4:30 PM. 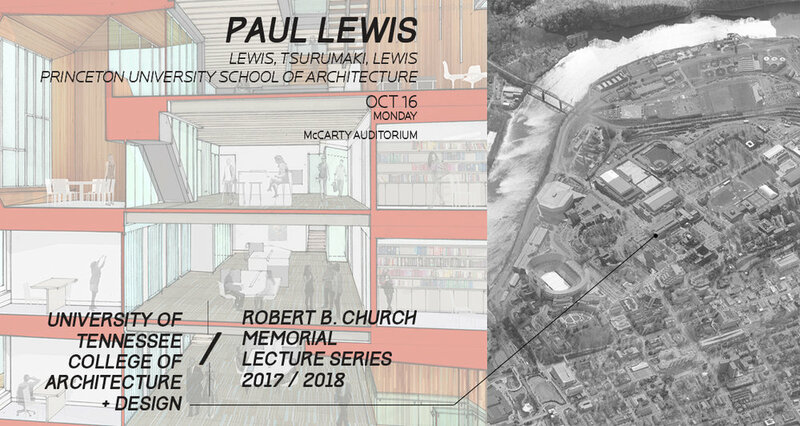 Paul will give a lecture at the University of Tennessee Knoxville College of Architecture + Design on October 16th at 5:30pm. David will give a lecture at the School of Architecture at Rensselaer Polytechnic Institute this Wednesday at 6PM, with reception to follow. Paul Lewis will be the Keynote Speaker at the 2017 AIA Colorado Practice and Design Conference on Saturday, September 23rd. David will participate in an interactive conversation with artist Anne Lindberg in a special event under and over drawing, A Conversation, hosted by Carrie Secrist Gallery, in collaboration with the 2017 Chicago Architecture Biennial. Marc Tsurumaki will give a talk on June 27th at the Perspective USA 2017, an international architectural forum sponsored by THE PLAN Magazine, held at the Marriott Downtown, NYC. 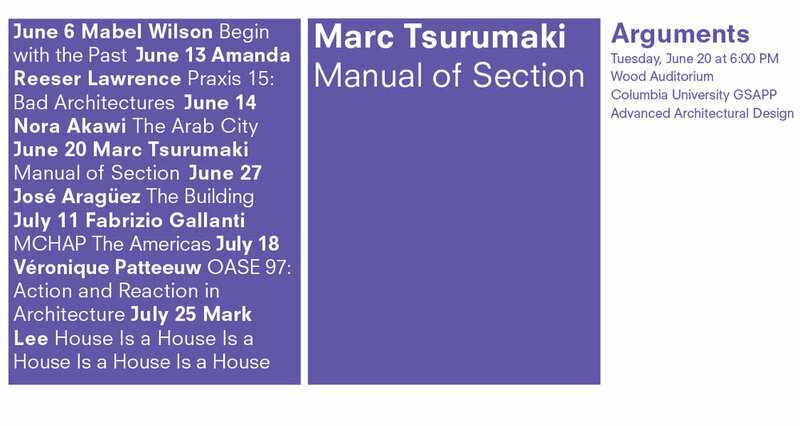 Marc Tsurumaki will be lecturing as part of the Arguments Lecture Series at Columbia University's Graduate School of Planning and Preservation on June 20th, at 6 PM. 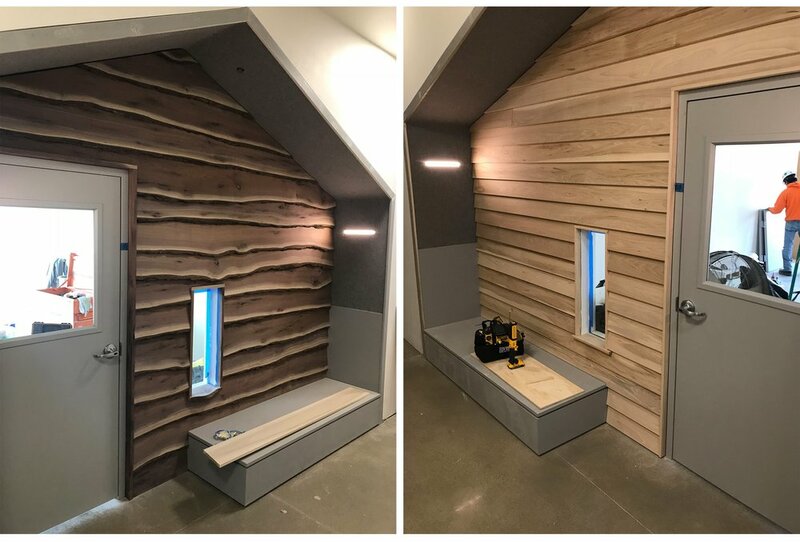 The Manual of Section Exhibition opened at the Architecture + Design Museum in Los Angeles on Saturday, after a lecture by Paul Lewis. Paul also spoke at the California Polytechnic State University, San Luis Obispo on Friday. David J. Lewis will lecture at Hammons School of Architecture at Drury University tomorrow at 3 PM.